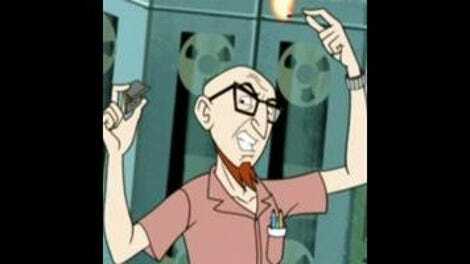 There hasn’t been any new Venture Bros. for a year and a half. In the time between the season-five finale and tonight’s double-sized special, the show celebrated its 10th anniversary. (Though that comes out to an average of only just over six episodes a year.) But watching “All This And Gargantua-2,” it hardly feels like it’s been any time at all. Co-creators Jackson Publick and Doc Hammer are just so effective at immersing viewers in the world of the show, getting them invested in a whole array of sad characters, and pacing their often-insane stories. By now, The Venture Bros is practically a perpetual motion machine—its plate-spinning seems delicate, but it’s not hard to imagine it going on practically indefinitely. And there are so, so many moving parts in this episode. It really does make sense for “All This And Gargantua-2” to be a special—it feels much bigger than the typical Venture Bros episode, closest in spirit to the season two finale “Showdown At Cremation Creek.” The two-part episode pulls in practically every recurring character that the show has created over the years, including a few I wasn’t sure we’d be seeing again (case in point: General Treister, whose trip to space finally does turn him into a Hulk). It’s absolutely incredible that in the span of relatively few episodes, there are so many fully-realized characters and background figures who threaten to become fan favorites at a moment’s notice. Once the special gets into gear, bringing almost everyone to the space station Gargantua-2, there are no fewer than eight different groups of characters pushing against each other for screen time*. Bringing the whole cast to one location also helps increase the epic sweep of the episode. The extensive, luxurious design for the space station helps highlight how beautiful the show looks now. Not only that, the shiny veneer of Gargantua-2 is a great representation of Doc’s brother J.J., a character who shows himself to be mostly surface, hiding unwittingly shady business dealings with the evil Investors while suffering from cancer. J.J. has always been one of the more hit-or-miss parts of the show given his propensity to alternate between hypercompetent douche and hypercompetent, earnest brother, but the resolution to his rivalry with Doc, which closed out the first season, is surprisingly effective. It’d be ridiculous to assume any character on this show is dead for sure (comic book rules), but it does seem like J.J. is gone, a sacrifice that actually might have meant something on a show where trying your hardest doesn’t necessarily mean squat. Doc also participates in the other most emotionally moving moment in “All This And Gargantua-2,” when he tries to activate the manual reset switch on the space station’s shield with Dean. Their collaboration is touching, and calls to mind season four’s “Perchance To Dean” (and its associated prog rock super science syllabus) while explicit referencing “What Color Is Your Cleansuit?” It’s both Venture men at their best, smug in their superscientific and deductive ability, but also at least somewhat self-aware and endearing in their posturing toward the other. These are the moments that anchor the rest of the madness. But there’s a sense in which The Venture Bros isn’t really about the Venture family anymore so much as it’s about the world the Ventures inhabit, and the tolls its arbitrary rules and systems take on the people. Sure, we’ll always follow Hank, Dean, and Doc, but if this episode had ended with all of them dying, the show could have easily shifted to focus more directly on the Monarch, the newly confident Billy Quizboy, or even the Order Of The Triad. That’s what makes it possible for one of the most surprisingly touching elements of the special to be the evolution of Fat Chance from a background joke to a complete character (Fat Choice!) with a rather powerful set of skills (aided by everyone’s favorite supervillain nanny, Dr. Henry Killinger, whose transformation of the Revenge Society into a potent threat is adorable). That’s why it’s so great and heartwarming that General Treister finally gets to be a Hulk and do some smashing. On the other hand, the massive scope of “All This And Gargantua-2” does, to some extent, work against the show’s purposes with regards to those characters. The ease with which Publick and Hammer have introduced an intentionally dense, thorny mythology that snaps up everyone from Sally Impossible to David Bowie (sort of) is something to behold, but it also means that delving deeper into that backstory and the underlying facets of the Venture universe doesn’t feel as meaningful. The special introduces some tantalizing new questions—the real nature of the Investors and their brother Henry Killinger springs to mind—but does so in a way that also reduces the number of characters and highlights the way they’re all victims of the massive, hilariously convoluted forces beyond their control. And those problems, all caused by self-contained, Kafkaesque systems in which the characters find themselves, are representative of something a little headier: The ways in which The Venture Bros is really an ideal way to tell a story about a group of (mostly) straight, white men. In a time when mainstream entertainment is still deeply whitewashed and focused on the perspectives of mostly straight white dudes (hi Oscar nominations! ), it’s worth asking the right ways of looking at those characters without excluding others. The Venture Bros doesn’t privilege the perspectives of Doc, the Monarch, and Orpheus—instead, it plays up the ways in which they’re self-involved, petty workaholics, and above all how they collapse under the weight of mythologies designed to uphold their white dude-ness. Though it’s a bit less funny for the Sovereign—likely the biggest villain on the series until now—to turn out to not actually be David Bowie, it’s still powerful for him to admit to Dr. Mrs. The Monarch that he’s “just some bloke who wanted to be anyone but himself.” The Guild, the O.S.I, these are all methods of escape for unhappy people, and The Venture Bros picks that apart mercilessly while also retaining empathy for their misery. In all that abstraction, though, “All This And Gargantua-2” finds time to pack the jokes in. Somehow, the show hasn’t finished plundering pop culture tropes for gags like the shot of only spies playing baccarat in Gargantua’s casino at a table rounded out by Hank wearing a mustache. Gary and the Monarch draw out a game of 20 Questions throughout most of the episode. And the lower stakes of the story at the Venture compound story let Public and Hammer wring as much humor as they can from Jefferson Twilight appearing out of nowhere to startle Hatred. Even something as small as the Monarch bellowing angrily at Phantom Limb after recognizing his preferences in cutlery manages to draw on established characterization for quick, well-earned laughs. For all that the special has to race to get from point A to point B, it still somehow manages to keep the show a comedy. “All This And Gargantua-2” is a huge story, but it also feels like a clearing of the decks for the show. At least in theory, most of the Council Of 13, the Sovereign, JJ, Treister, and the Investors are all dead. The people in charge of organized villainy are characters we’ve spent a lot of time with—Dr. Mrs. The Monarch, Phantom Limb, Professor Incorrigible. (And hopefully Henry Killinger will be a more regular fixture on the show now.) That means that the show has, hopefully, extricated itself at least a bit from the confusion of much of its mythological history. Will we see the O.R.B. again? Hear about the elaborate bureaucracy of the O.S.I.-Guild treaties? (Well, probably yes.) But the conflict can be much more tightly focused on people we know and care more about. The last time things seemed to change this much on the show, in season four’s “Operation P.R.O.M.,” it wasn’t clear how much it really altered about the status quo. Like that episode, this could also have served as a series finale, serving as it does to make a grand statement on the show and unify everyone to a place where we can easily envision the rest of the unimportant shenanigans they’ll get into. (Maybe that’s partially just me justifying spending so much time abstractly contemplating the meaning of The Venture Bros instead of digging through the specifics of all the intricate plot points.) If those episodes are any indication, the “story” of The Venture Bros, such as it is, has run its basic emotional course, and could end at any time rather than continuing to delve deeper into the world, and is mostly still going because it’s built up a momentum while deepening its world. 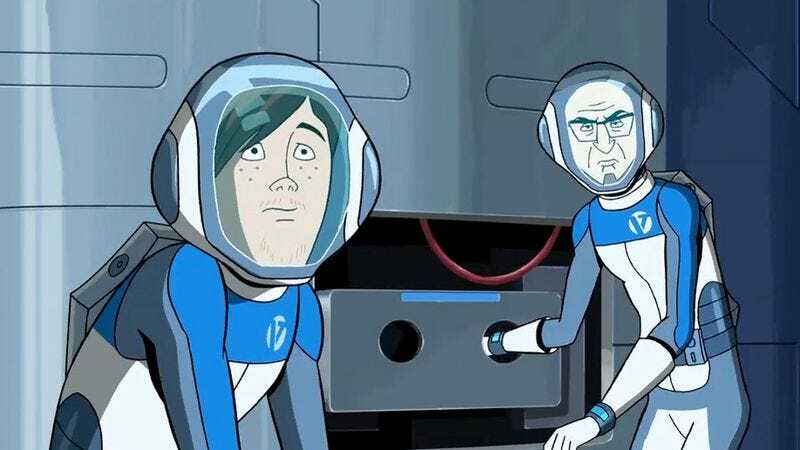 There could be another ten years between “All This And Gargantua-2” and the next episode of The Venture Bros, and the show wouldn’t feel unfinished. But that doesn’t mean I want it going away anytime soon. I know I barely talked about the actual plot, but it sort of seems besides the point given how singular this episode is for the show, and how complicated everything is (obviously, if you haven’t seen every other episode and paid close attention, pretty much nothing will make any sense). If anyone wants to try to hash out all the specifics, happy to do it below. *The groups of characters I counted that independent runners: Gary and The Monarch on the spaceship, Hatred and The Order Of The Triad in the sewers, Brock and Amber (or Bramber), Col. Gathers and Snoopy, Hank, Gentleman, and company, Doc and Dean, Phantom Limb and The Investors, the rest of the Revenge Society. This section could literally just be a list of all of the great little gags in this episode, so I’ll leave those to the comments. Who were your favorite characters? Besides Fat Choice, I loved Watch and Ward’s version of the Guild Resistance, and the continued depth of Billy’s mom. Hey! Brock’s smoking an e-cig! It’s… 2014? I’m sure there’s a lot of stuff I haven’t picked up on (I only got a chance to watch the episode once), but one cool piece of casting: Stephen Colbert is back as Professor Incorrigible! That burning Monarch symbol was actually pretty awesome. And that’s it until season six (teased in this nifty epilogue on the Adult Swim website)! Sorry I’m not Zack, but hopefully he’ll be back to guide you through the next precious episodes of this criminally underrated show. Go team Venture!